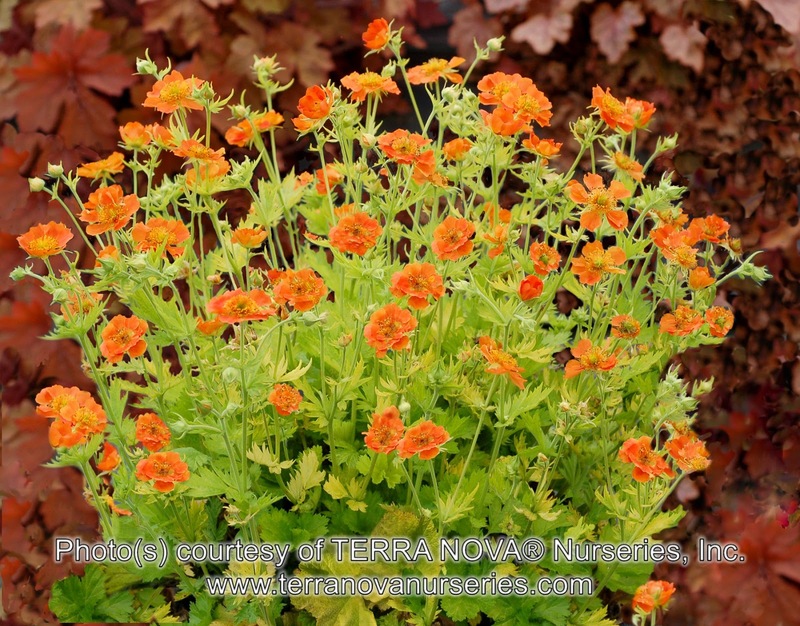 Chicago Botanic Garden has released another plant evaluation report, this time for the lovely plants in the genus Geum. 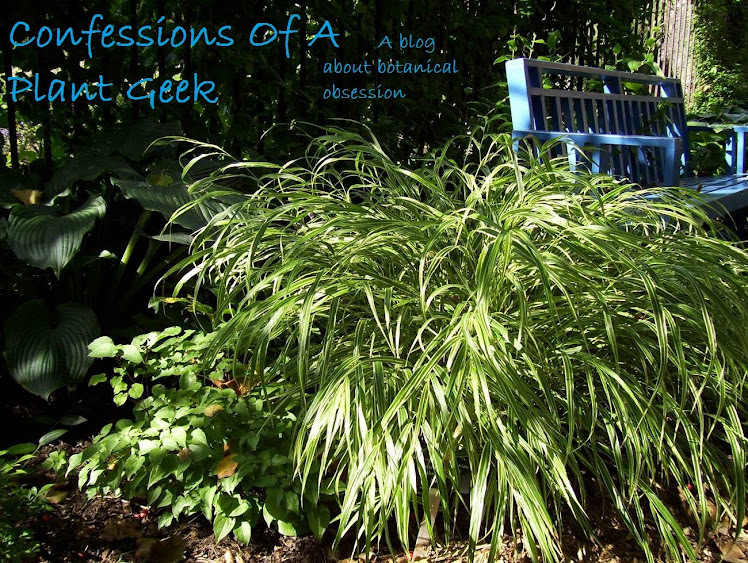 If you've never heard of this group of plants, that isn't surprising and you're not alone; they aren't terribly popular. I don't know that anyone can adequately answer the question of why they aren't more popular. 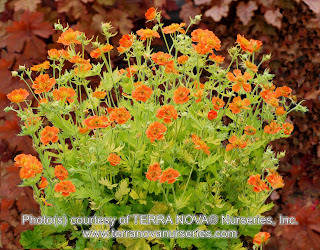 They are easy to grow in average soil, as long as it isn't too wet in winter or too dry in summer. They bloom prolifically in mid-late spring (and in some cases continuing into July) and bridge the gap between spring bulbs and early summer flowers beautifully. The flowers come in a range of bright colors: white, yellow, pink, orange, and red. And they don't have many pest or disease issues. Thanks to the breeding work of Brent Horvath, owner of Intrinsic Perennial Gardens, that is starting to change. If you have discovered Geum recently, it's probably due to his "Cocktail" series of plants. I've been fortunate to see all of Brent's introductions and much of his breeding material during my visits to Intrinsic. One mark against Geum is that they're thought to be short-lived and require frequent division to thrive. This is certainly true about chiloense and coccineum hybrids like 'Mrs. Bradshaw' or 'Blazing Sunset' which are descended from species from Chile, Western Asia, and Southern Europe. But hybrids derived from other species can be as long-lived as any other perennial. You can find the full report by clicking here and there's an earlier article here. Both are worth reading. To me, this was a great trial. 49 varieties were tested and 46 completed the trial. Even some species that aren't readily available or thought of as garden plants were tested. Geum ‘Feuerball’, G. ‘Lady Stratheden’ and G. quellyon ‘Double Bloody Mary’ died out in the first winter and weren't re-tested and aren't included in the results. From the 46 remaining, the chiloense and coccineum types that you're likely to have trouble with only got 2 stars because they suffered dieback or died completely during the trial. It's worth noting that if you're in a warmer climate, these varieties may do quite well for you and are worth a try. But if you're in a cold winter area, it's probably best to avoid them. Varieties marked with 3 stars maybe grew well but didn't flower as well as others. Or they developed some foliage browning in summer. Maybe they suffered minimal dieback in winter. They're good plants, if you can't find any others that scored better, they're more than suitable for the garden. They may perform well in different circumstances. I've seen or grown some of the Cocktail series that got 3 stars and I was really happy with what I saw. Only 15 varieties scored 2 or 3 stars. That means 31 varieties, 67% of the varieties trialed, got 4 or 5 stars in this trial. Not bad for an unknown group of plants! Only 3 varieties received 5 stars, and they're probably among my favorites. 'Sangria', 'Totally Tangerine', and G. triflorum. One thing you'll notice is that ‘Feuerball’ and 'Fireball' are listed. Despite ‘Feuerball’ being German for "fireball", these are different plants. ‘Feuerball’ is a dark red double and 'Fireball' is a bright orange double. 'Fireball' got 4 stars and is a good plant for cold regions. ‘Feuerball’ didn't survive the first year. I grew 'Eos' when it first came out. It scored 3 stars in the trial for having some leaf scorch during summer and having poor flower production. The gold foliage turns green during summer. My experience was exactly the same as the trial. 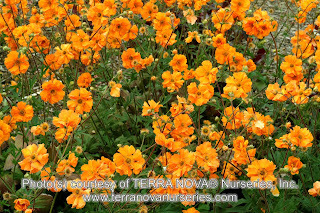 But it was the first variety with gold foliage. It's no longer on the market. 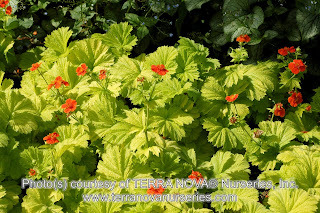 Terra Nova has since introduced 'Sunkissed Lime' which is supposedly more scorch resistant and has much better flower production on taller stems. Flowers are also brighter orange. I have not yet grown this one, but I intend to pick it up soon to try out. 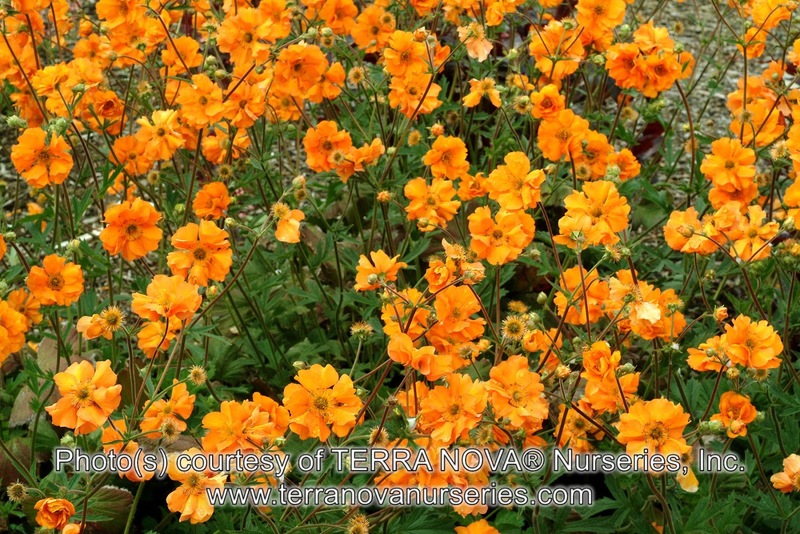 Probably my favorite variety of Geum is 'Totally Tangerine', which is also sold as 'Tim's Tangerine'. I've held the belief that this is one of the best since it was introduced. One of the tallest varieties at 24-30" in flower, I've always enjoyed the hot orange of this plant in late spring and into early summer. The flowers are at least partially sterile so it does bloom for a long time. Even when conditions weren't optimal, this one put on a good bloom show for me. I haven't grown many other Geum, mostly due to lack of availability. I will be picking up many more once I have a place to garden again. We may add some to the catalog in the future as well. Do yourself a favor and pick up a few. You'll be happy you did!